Hello! I hope you're having a good Sunday! Can you believe just 6 days until Christmas? Yikes.. I better make this a quick post! Sparkle Creations is sponsoring Cupcake Inspirations Challenge #90 this week... for all the details and inspiration from their DT, please visit the CIC blog. If you play along with the Cupcake Inspirations challenge, you have the chance to win Cupcake Ruby. 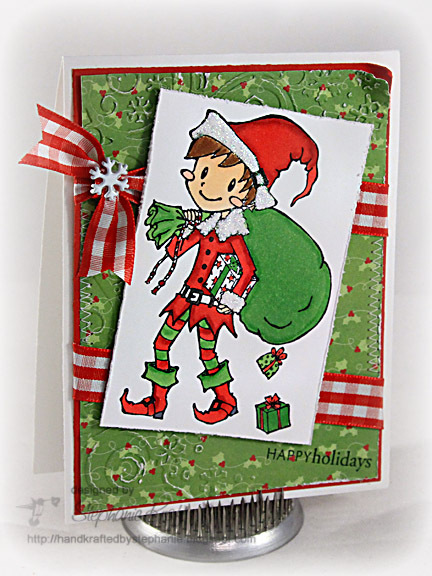 Plus, every participant will receive a special code for a 10% off coupon to Sparkle Creations Rubber Stamps! Accessories: Embossing folder from Winter Wonderland set (Provo Craft), Markers (Copic), Distressing tool, Starfire glitter (Taylored Expressions), Ribbon, Snowflake brad, Foam tape, Thread, Sewing machine. This is darling, Steph! LOVE the ribbon at an angle!! Merry Christmas!! Adorable card and image! 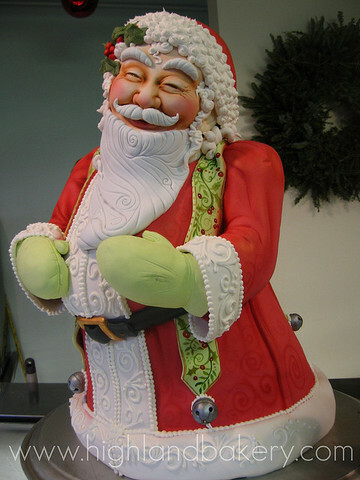 Love your design and how he looks like the Santa inspiration! ADORABLE!!!! :) Love the paper, image, coloring...Everything!